New survey results show 23.3% of Henry County residents list crime as the biggest problem facing metro Atlanta. Transportation was a close second with 23.1% of local respondents stating it was Atlanta’s biggest challenge, making for a statistical tie between the two issues. That’s according to this year’s version of the metro Atlanta speaks survey, conducted annually by the Atlanta Regional Commission and Kennesaw State University. The results were announced during Friday’s state of the region breakfast. The survey asks respondents a variety of questions about quality of life issues in metro Atlanta and provides useful insight into the thoughts of area residents. The 2018 survey polled 5,450 people across the 13-county metro area, to include 244 respondents from Henry County. The survey is statistically valid for each county and the city of Atlanta, with a margin of error of +|- 1.3% for the 13-county region as a whole and +|- 4% to 7% for the individual jurisdictions. Concerns about crime are down from a year ago, when 26.7% of local respondents listed the issue as their top concern. Henry County respondents stating transportation as their top concern have increased from 21.8% last year to 23.1% now. 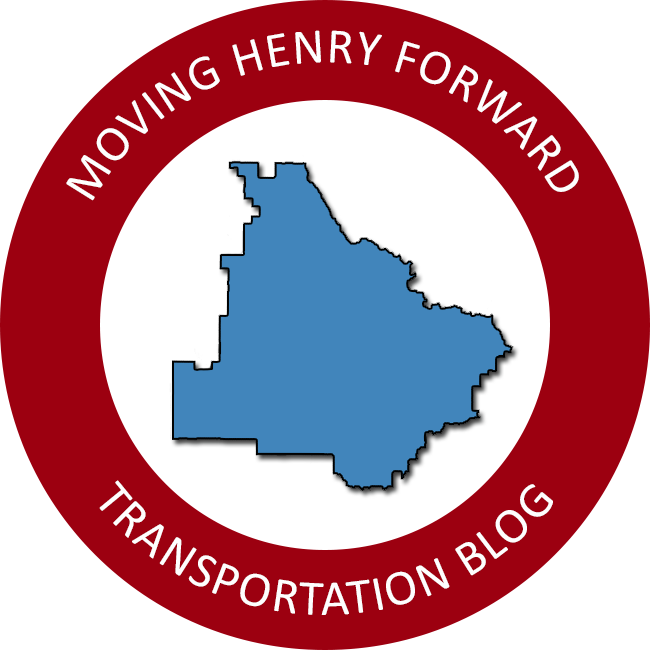 Moving Henry Forward asked our Facebook followers which issue was their biggest concern: transportation or crime. 148 responded with 61% selecting crime. Follow us on Facebook and weigh-in on future polls. Transportation questions are a major focus within the survey. When asked “what is the best long-term solution to traffic?” Henry County was unique last year as the only county to place more emphasis on improving roads and highways (41.0%) than expanding public transit (37.7%). That opinion has shifted in favor of transit and is no longer an outlier compared to the rest of the region. This year’s results saw 41.3% indicate expand public transit and 34.0% indicate improve roads and highways as the best long-term solution to traffic. Residents in Clayton, Douglas and Butts Counties indicated more support for road projects than expanding public transit. In another question, 90.1% of local respondents indicated public transit was either “very important” or “somewhat important” to metro Atlanta. That’s slightly lower than the 92.8% region wide giving a positive view on regional transit. 38.5% of Henry County respondents expressed support “to pay more in taxes to fund expanded regional public transit.” That’s down from a year ago, when 42% expressed support. Similar survey data collected during the comprehensive plan update also found support for public transit to be very split. Any large-scale fixed route bus operations are not expected in Henry County for many years, but ways to boost efficiency of the existing on-demand transit system should be considered. The current system primarily serves the elderly and persons with disabilities; however, the department is operating at capacity unable to fulfill all of the requests for service. Henry County had a high number of respondents express concerns about the economy as their top issue. 8.8% of local respondents listed the economy when asked the biggest issue facing Atlanta. Only Butts County saw a higher percentage, 11.2%, while the region average was 6.0%. When asked about the future assessment of living conditions, Henry County had the highest number (37.3%) express a negative outlook in 3-4 years. Following that trend, 35.8% of local respondents indicated a desire to move away from metro Atlanta. This is not surprising given the high number of residents I see moving out of Henry County. The full results from the metro Atlanta speaks survey are available on the Atlanta Regional Commission website. Results from previous years are also available on the ARC website.